This page will have common and maybe some not so common terminology that is commonly found in the audio profession. Feel free to add new terms or add new or edit the definitions to make sure everything is correct. If you are siting a source, please be sure to give credit were it is due. Work via electromagnetic induction (a speaker in reverse). They are robust, relatively inexpensive and resistant to moisture, and for this reason they are widely used on-stage by singers. • The hertz (symbol: Hz) is the International System of Units (SI) base unit of frequency. Its base unit is cycle/s or s-1 (also called inverse seconds, reciprocal seconds). In English, hertz is used as both singular and plural. As any SI unit, Hz can be prefixed; commonly used multiples are kHz (kilohertz, 103 Hz), MHz (megahertz, 106 Hz), GHz (gigahertz, 109 Hz) and THz (terahertz, 1012 Hz). 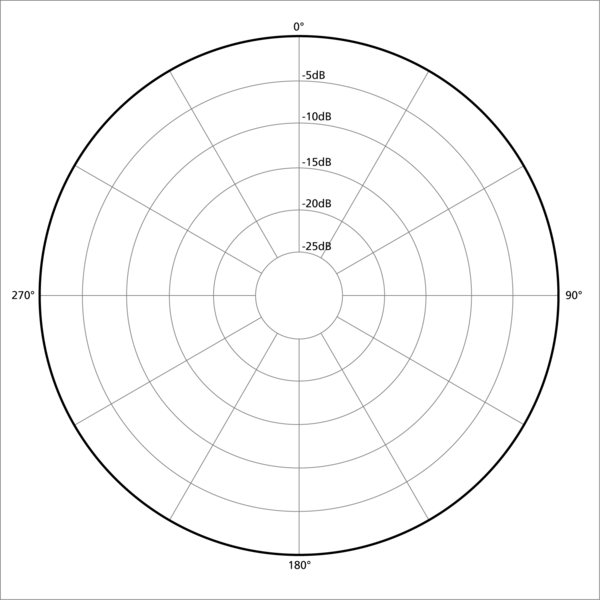 • One hertz simply means one cycle per second (typically that which is being counted is a complete cycle); 100 Hz means one hundred cycles per second, and so on. The unit may be applied to any periodic event—for example, a clock might be said to tick at 1 Hz, or a human heart might be said to beat at 1.2 Hz. Sometimes referred to as a mike or mic, is an acoustic-to-electric transducer or sensor that converts sound into an electrical signal. A microphone is a device made to capture waves in air, water (hydrophone) or hard material and translate them into an electrical signal. The most common design uses a thin membrane which vibrates in response to sound pressure, this movement being subsequently translated into an electrical signal. Most microphones in use today for audio use electromagnetic generation (dynamic microphones), capacitance change (condenser microphones) or piezoelectric generation to produce the signal from mechanical vibration. The Dynamic and Condenser microphones are the most common within sound systems. 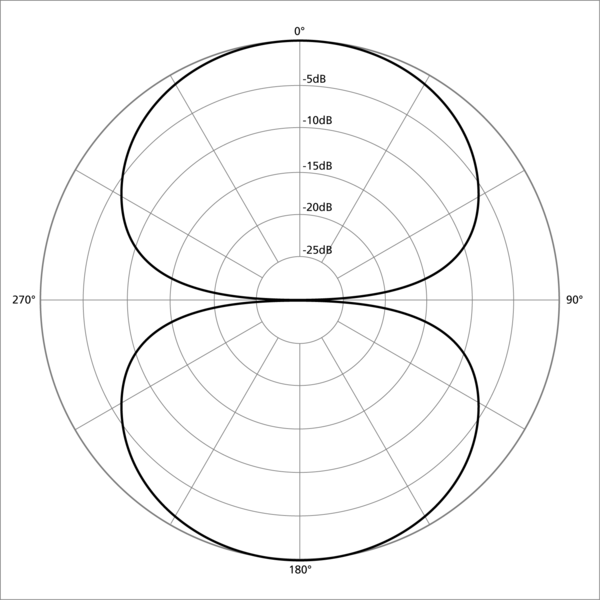 An omnidirectional microphone's response is generally considered to be a perfect sphere in three dimensions. In the real world, this is not the case. 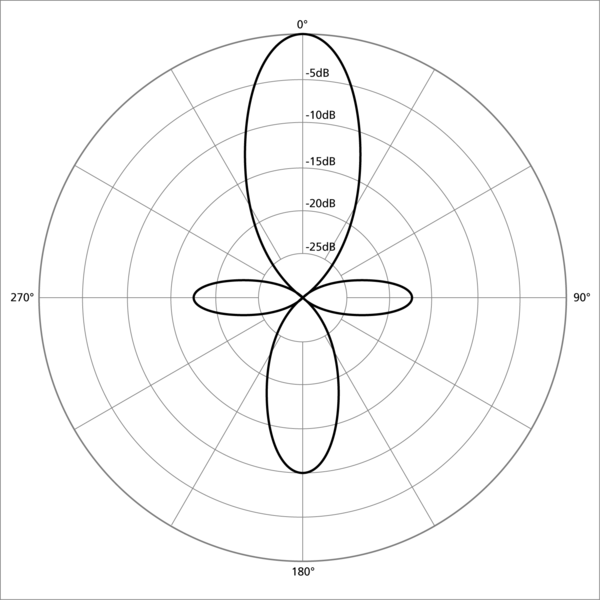 As with directional microphones, the polar pattern for an "omnidirectional" microphone is a function of frequency. 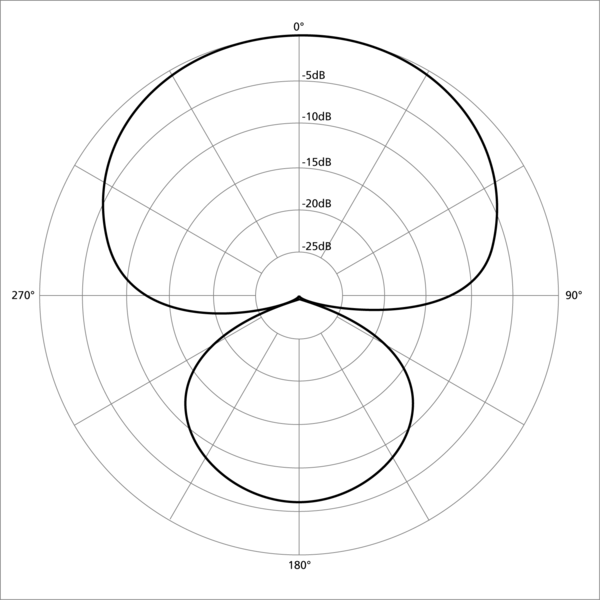 The body of the microphone is not infinitely small and, as a consequence, it tends to get in its own way with respect to sounds arriving from the rear, causing a slight flattening of the polar response. 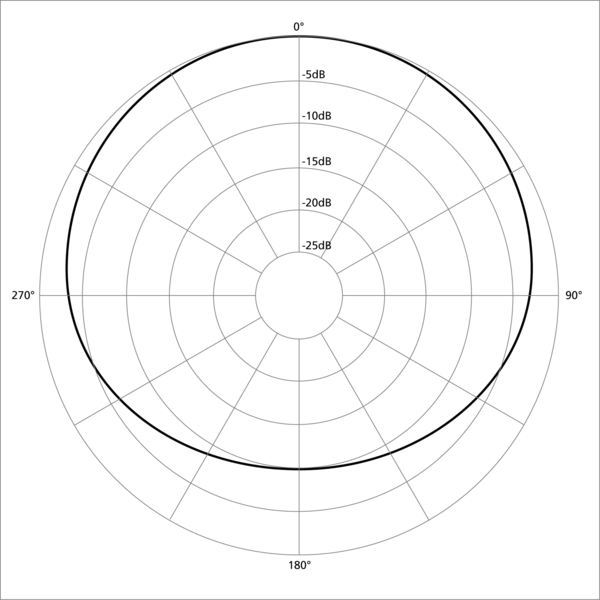 This flattening increases as the diameter of the microphone (assuming it's cylindrical) reaches the wavelength of the frequency in question. Therefore, the smallest diameter microphone will give the best omnidirectional characteristics at high frequencies. The wavelength of sound at 10 kHz is little over an inch (3.4 cm) so the smallest measuring microphones are often 1/4" (6 mm) in diameter, which practically eliminates directionality even up to the highest frequencies. 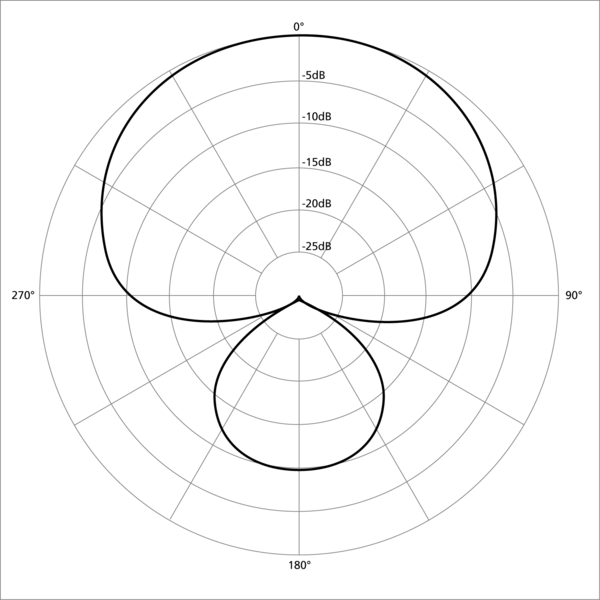 Omnidirectional microphones, unlike cardioids, do not employ resonant cavities as delays, and so can be considered the "purest" microphones in terms of low coloration; they add very little to the original sound. Being pressure-sensitive they can also have a very flat low-frequency response down to 20 Hz or below. 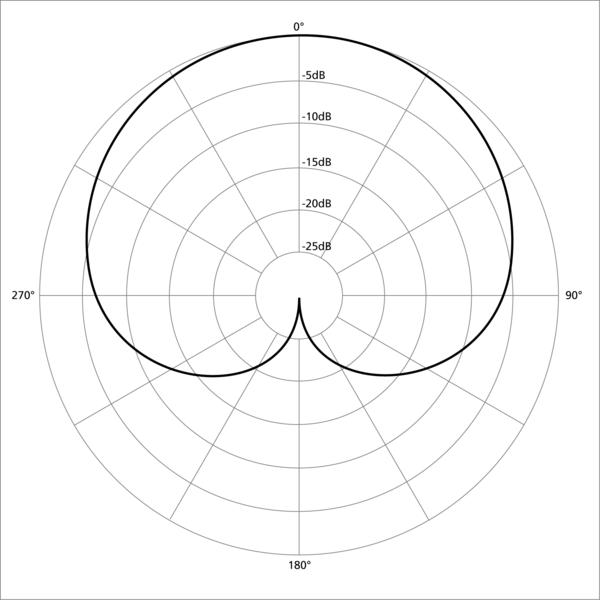 Pressure-sensitive microphones also respond much less to wind noise than directional (velocity sensitive) microphones. Phantom power (labeled as +48 V on some audio equipment) is a method that sends a DC electrical voltage through microphone cables. It is best known as a common power source for condenser microphones, though many active DI boxes also use it. Phantom powering consists of direct current applied equally through the two signal lines of a balanced audio connector (in modern equipment, usually an XLR connector). The supply voltage is referenced to the ground pin of the connector (= pin 1 of an XLR), which normally is connected to the cable shield or a ground wire in the cable or both. With phantom power, the supply voltage is effectively invisible to balanced microphones that do not use it: e.g., most dynamic microphones. A balanced signal consists only of the differences in voltage between two signal lines; phantom powering places the same DC voltage on both signal lines of a balanced connection. Many sound boards have a switch for turning phantom power off or on; in most high-end equipment this can be done individually by channel, while on smaller desks all channels are either off or on at once. If it is desired to disconnect phantom power from one channel only, this can be done by using a 1:1 isolation transformer or blocking capacitors. Phantom powering can cause equipment malfunction or even damage if used with cables or adapters that connect one side of the input to ground, or if certain equipment other than microphones are connected to it. Before starting the sound check it is good practice to ‘zero’ the console by setting all its controls to a sensible starting condition. Set all GAIN, EQ and PAN controls mid, FADER, AUX and MATRIX controls off, TALKBACK and OSC/NOISE levels off, and all switches up. Make sure the osc/noise generator is turned off.